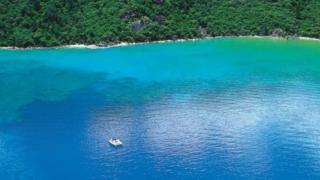 The location - Cid Harbour in the Whitsunday Islands - was also the scene of two non-fatal shark attacks in September. "He had suffered very serious bites, significant blood loss as well as cardiac arrest," said Ben McCauley from Central Queensland Rescue. 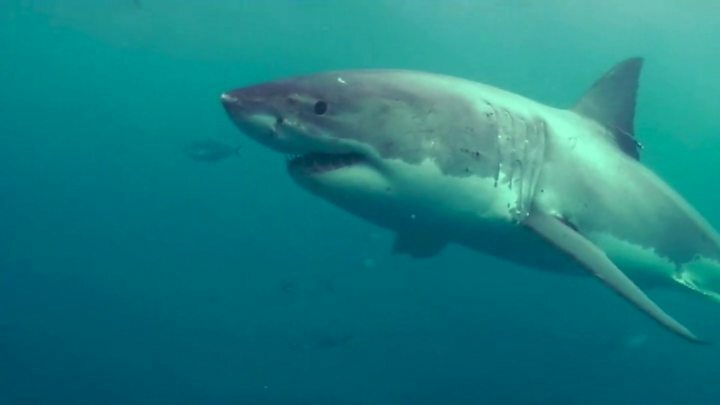 Prof Colin Simpfendorfer, from James Cook University, said shark attacks were "extremely rare" in the Whitsundays - an area popular for sailing and water activities. He said sharks could be drawn by fishing activity or dirty water, but no theories had "so far been supported by real substantial information". Prof Simpfendorfer noted, however, that it was not unusual to see "clusters" of attacks in one area. "We see this pattern time and time again - all around the world - and we don't really understand why it is," he said. "There's just a period of time when conditions are such that it maybe causes attacks to be more frequent." Authorities responded to the incidents in September by culling six sharks in the area and installing drum lines - baited hooks suspended underwater - for a week. Now, some have called for further action - but it is a contentious debate. A local lawmarker, Jason Costigan, has described the absence of permanent drum lines as "madness". "There will always be sharks in these sorts of spaces, so the important thing is for people to educate themselves on how to minimise the risk," he said.